My wife Sheree and I, along with our two children Kelsee and Kyle, spent over 20 years in ministry. We were involved in various types of ministry; children, youth, college ministries and working at a Christian school. We met some wonderful people and we saw God do amazing work in people’s lives. We also remember what it’s like to meet budgets and lead a ministry with a shoestring budget. 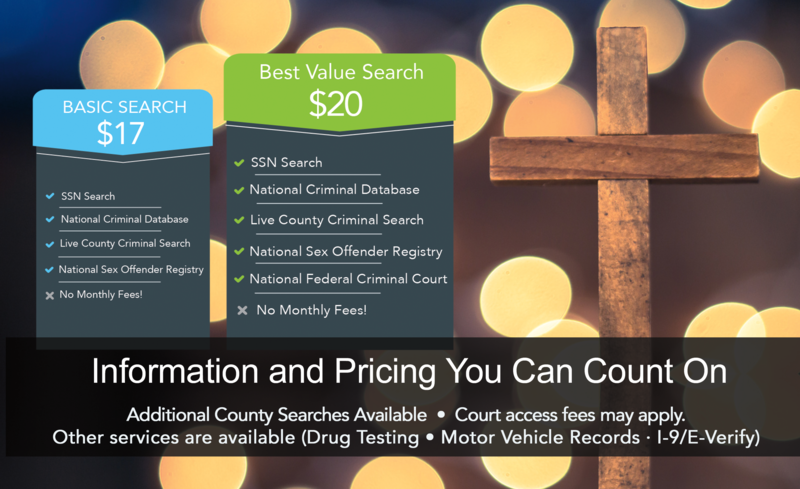 Owning a background check business now, we love to partner with churches and make sure that they are performing due diligence background checks as well as help them stay within budget. It is important that churches understand the responsibility they have to protect the people in their church. We help with that by making sure leaders understand why you should perform a background check, what a background check should look like, and how to get the most up-to-date information without breaking the bank. Please reach out and let us know how we can help you and your church body! We would always love to hear about your church, the people, and how God is working. C4 Operations Background Check Services is affordable, convenient, and FCRA compliant. I really enjoy the simplicity and the great customer service. I like working with C4 for our church background screenings for our staff and volunteers. They have always been very helpful if I have a question and take care of any issue in a timely manner. I would recommend C4 to anyone needing their services. They always remember me and make me feel special!